I saw a post fairly recently about “auto-buy authors.” The general definition for this is an author that you love so much, that when they release a new book, you automatically buy it, no matter what, because you have to have it, and you have to read everything this person has ever written. When I saw this, it got me to thinking about who my auto-buy authors are. Some were obvious, others I only realized qualified when I took a good look at my shelves. One of my obvious (to me) is Bryce Courtenay. Someone I admired greatly recommended The Power of One to me when I was quite young. She knew I loved reading and would often recommend books to me when she came to visit. I read it and it quickly became my favourite book of all time. I read and re-read it so often that it got to the point that I could pick it up and open it to any spot and start reading with no problem. My copy is so battered, but only because it is so well loved. After reading this I bought everything I could by him and there were other favourites too, including Tandia and Four Fires. Courtenay died in 2012, and though I haven’t read them all yet, I’m pretty confident that I have everything he’s ever written on my shelves. 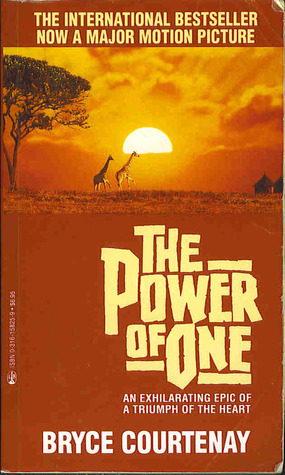 The Power of One changed my reading life and opened me up to so many other books. It got me away from the stereotypical teen books and romance novels (which I still love and I’m not knocking them at all) and broadened my horizons to historical as well as contemporary literature. Another obvious auto-buy author for me is JK Rowling. I started reading the Harry Potter series after Goblet of Fire came out. I was hooked. I truly love this series and the world that Rowling has created. I became that person in line at the bookstore at midnight, or at the movie theatre hours before the show started on opening day to get a good seat. I am a shameless Potter Head, and the day I finally walk through the gates at the Wizarding World of Harry Potter at Universal Studios in Orlando will be one for the history books. So I obviously own all of the Harry Potter books, including the spinoff books from them, such as Fantastic Beasts and Where to Find Them. Naturally, when she started writing other books after the Potter series finished, I scooped them up. Though I haven’t yet read The Casual Vacancy, I do own it. 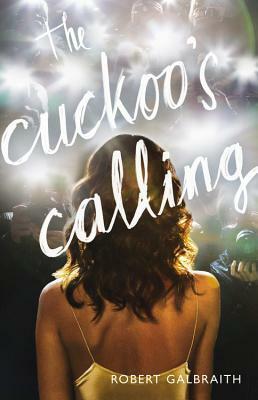 I was also very impressed with The Cuckoo’s Calling and The Silkworm, both written by Rowling under the pseudonym Robert Galbraith. I look forward to the next installation of that series. I know that going forward I will continue to buy anything that JK Rowling releases, both because she is an exceptional storyteller, and also because I feel like I almost owe her, as thanks for the gift of Harry Potter. I’m starting to realize the more I think about it that this list I longer than I thought, but one more obvious author that I must mention is Diana Gabaldon. 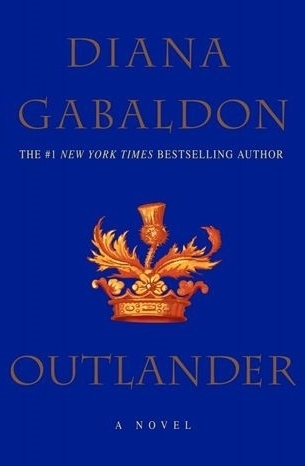 Outlander is a book that has stuck with me since the first time I read it. I fell in love with Jamie and Claire and cared about them and what happened to them so much, that I recommend the series to anyone who will listen. I am not caught up on the reading of the series, but I own them all and will continue to purchase anything she releases. It is my intent to get caught up, and I was fortunate enough to have the 8th instalment of the series signed by her when I purchased it last June at my local Chapters. She is as captivating in person as she is by what she puts on the page. I was blown away by her and think she is amazing. Last year Outlander the TV series premiered on Starz. It was everything I hoped it would be, I thought it has kept to the plot and integrity of the story very well, and I can’t wait for the second half of the season to start, which I believe is in a week or so. If you’re an Outlander fan, I highly recommend tuning in. You will not be disappointed. And I believe it has been picked up for a second season already. I have several other auto-buy authors. One is the Canadian author Kelley Armstrong, whose first book that I read Bitten, grabbed me and compelled me to buy and read everything else she’s ever written, which I’m so glad that I did, because I have never been disappointed by her. I love books with strong, vital female characters, and her books are full of them. Lisa Genova is another one. Still Alice has gained a lot of popularity lately with the movie coming out and Julianne Moore gaining so much recognition for her role. I read it a long time ago and loved it. I have also read everything else she has ever written and think she is a brilliant author who is especially gifted at telling a story from the point of view of someone that is actually suffering from Alzheimer’s or other neurological issues. Others on this list that need to be mentioned are Sue Monk Kidd, Anita Diamant, Veronica Roth, and yes…Lemony Snicket – just for fun. Who are your auto-buy authors? Anyone from my list? I’m looking for suggestions to add to my TBR list – as if it wasn’t long enough already. Pictures from here, here and here. Here too. 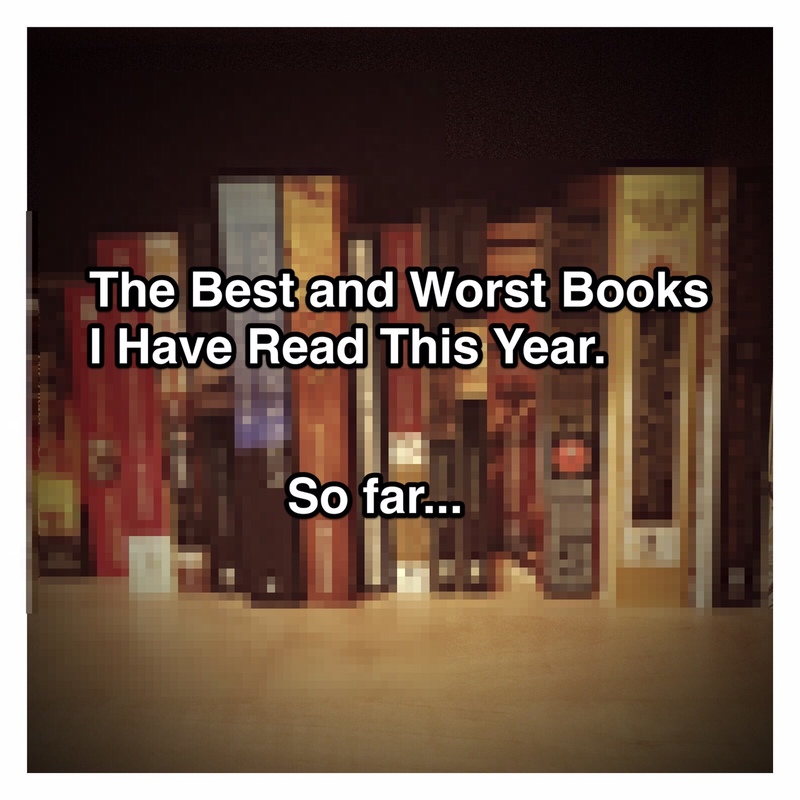 The Best…and Worst Books I’ve Read So Far this Year. Last year I slacked a bit on reading. I think I only read 17 books last year. This may seem like a lot, but for someone who has clocked over 60 books on the Goodreads Reading Challenge, 17 is not very many. It was a busy crazy year, as you’ll know if you read my last post. This year though, things have settled a bit, and I’ve been a regular visitor at my local library again. I love the library, who doesn’t love free books, even if you have to give them back? Nicholas and I usually walk down once a week, where he borrows several books and a movie. It’s an amazing service offered by the community, and I don’t know why more people don’t utilize it. As I said, I have been frequenting the library for my own purposes more often lately, and it’s the 2nd of February and I’m working on book #7 of 2015. So I thought I would weigh in on the best and worst that I have read so far. I’ll get the bad one out of the way first. I typically finish books. I have this thing where I feel like if I start a book, I need to see it through. There have been very few books that I have given up on. Lately though, I feel like if something isn’t going so good, and I give it a fair chance (meaning I have read several chapters trying to get into the story and characters) I am more likely to put it down. The way I look at it, my TBR (to be read) list is so long, that I’m not likely to get through it during my lifetime as it continues to grow on a regular basis. I don’t often take as many books off the list as I put on. There are so many amazing books out there just waiting to be read. Why waste my time struggling through books that just aren’t doing it for me? Life is short, read what you want. This drove me crazy. There was no flow to the writing. I also had a hard time believing that a nine year old boy was scouring the city of New York trying to find a hidden message that his father who was killed in 9/11 had left him with someone named “Black.” That no one (including his mother) seemed to notice. Maybe I didn’t get far enough in, maybe there was a reason and an explanation for this, maybe it would all be made clear to those that actually made it through to the end of this one. I found myself not caring enough to find out. I did however, read an amazing piece of literature this month. The best book I’ve read this year, and actually in a long time for that matter. I have been a fan of Sue Monk Kidd for many years, enjoying everything I’ve read by her. This month I added The Invention of Wings to the list. This book was amazing. It takes place primarily in 19th century Charleston, before the civil war. The book cuts back and forth between Sarah Grimke, who on her 11th birthday receives Hetty “Handful” Grimke as her personal ladies maid, the other protagonist in the book. I was unaware that Sarah and her sister Angelina were actual figures in US history, who were prominent voices in the anti-slave movement, as well as among the first in the feminist movement. Sue Monk Kidd has taken Sarah’s general story and shown her own perception, taking liberties along the way. The result is a powerful story, so well written, that took me in from the very first page. It is a captivating book about two girls who grow into women, very different people, very different lots in life, but whose lives are woven together permanently. Sue Monk Kidd switches smoothly and effortlessly back and forth between the two women, and each has their own distinct voice. I found myself thoroughly invested in each character, and once I finished this story, I spent a bit of time researching the story of Sarah Grimke, and learning more about what a remarkable woman she was and the mark she made on history. I was astonished that I had never heard her name before. Needless to say, I highly recommend this book, and any other book written by this gifted storyteller. The Secret Life of Bees is the first book I read by her, it was amazing as well, and I have always been very impressed by her work. Hopefully there will be more reviews to come. I have, as I mentioned, been reading more this year so far, and my name is on a long list of books waiting for my turn to read from the library. Well, not really. Not intentionally, it just looked like a photobomb. Sorta. So it doesn’t count. But whatever. I’ll get to that. Kelley Armstrong is one of my favourite authors. I have reviewed some of her books on this blog here, here, and here. I love her style of writing, I love her characters. I have read almost all of her novels and novellas both for adults and young adults, and enjoyed each one. The fact that she is from the London, Ontario area is very cool to me as well. Naturally, when I heard from my bestest Jolene that Kelley Armstrong was going to be doing a book signing and a pre-release event for her latest book Sea of Shadows where you could meet her and have her sign the book for you 3 days before it comes out, I was in. Especially when I found out that it was as close as Brampton, ON. Okay, at first I thought it was in Burlington, not Brampton. But that’s a long, not very interesting story that doesn’t really bring anything to this story, so I won’t expand on that. We had an awesome day, got to meet Kelley Armstrong (who is charming as all heck), and got to spend time with two of my dearest friends. We had a lovely lunch, and we had a great time with lots of laughs. If you’re into the supernatural at all, both adult fiction and YA, be sure to check out Kelley Armstrong’s books. She has created an awesome world and characters you fall in love with. Start with the 13 books in the Otherworld series. Bitten is the first one. That’s a good place to start. Sadly, the only pic of Jolene from the day. She was taking them all! Doesn’t it look like she photobombed me? Maybe? A little? 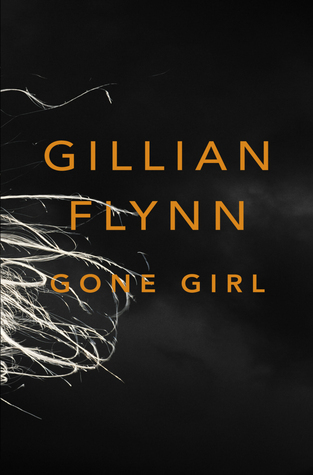 I have been picking up and putting down Gone Girl by Gillian Flynn for months now every time I go into the bookstore. It was really one of those books that I wanted to read, but I’ve been putting off buying it until it comes out in paperback. I didn’t know much about it, except that it was a mystery. Also that it was very popular and I was sure I wanted to read it. I was browsing through the selections available through my library on my iPad’s handy dandy Overdrive app, and saw that it was there. It also showed that the hold list was 163 people long. So just for fun, I clicked on it and became 164. Sure enough, about a week or so ago, I got an e-mail that I could “check out” my selection. So I got clicking and I got reading. This book is a mystery. I’ll start off by saying that I thought it was really good. The story is about Nick, who comes home on his 5th wedding anniversary to find his wife Amy missing, and the living room looking like there had been foul play. It definitely looked like Amy was taken from the house unexpectedly, between the state of the living room and the iron being left on, etc. The police are called, and it of course doesn’t take long for the case to become that of national headlines, and for Nick to become the prime suspect. The book switches back and forth between Nick’s point of view and diary entries that were written by Amy – 7 years worth of diary entries, all leading up to the point where she was gone from the house. This book is somewhat of a roller coaster. It leads you to believe several things. At the beginning of the book when Nick got home and found his wife gone, I thought based on his reaction that there was no way he could have had anything to do with her disappearance. But then reading Amy’s diary entries, I start to wonder. It is obvious that their marriage was far from perfect, and that both of these people were very odd. Something was not quite right about either of them. This book had me hooked. I was reading and reading, waiting to find out what the hell happened, and then when I finally figured out what had happened, I kept reading to find out what the hell was going to happen next. The power in the book shifted so many times, I literally had no idea how it would ultimately turn out. If I ended my blog post right now, that would be a small indication of how I felt when I realized that this book was done. There was no closure, no explanation, nothing. I know that this might be considered a cliffhanger, but I considered myself slightly cheated. I felt like I had been running through this forest, over and under branches, through the mud, swinging on vines, desperate to get through to the other side. Then about 50 feet from where the forest ended, I tripped over a bag of potatoes that somebody had left there, and fell. And then I stayed there for all eternity. I don’t get up, I don’t know if I broke anything, I don’t get to leave the forest, I don’t find out if there’s civilization on the other side. Just laying there, facedown in the mud. Forever. Slightly dramatic I know, but COME ON! I suppose that my dramatic reaction is saying something. I was invested enough in this story to want to know what happened to the characters. I wanted to see people get what they deserved. I wanted questions answered. Maybe I’ll write some fan fiction some day and tie up all the loose ends. Overall, this book was a solid 4 stars. Maybe 5. Because of the ending, I made it a 3 on Goodreads. Have you read Gone Girl? Did you like it? Hate it? Please feel free to comment below. Thanks for reading. Every now and then in life you come across an author that just pulls you in with everything that they write. Lisa Genova is one of these authors for me. She did it to me with Still Alice and again with Left Neglected (you can read my review of that here.) She has done it again with Love Anthony. I actually had no idea that Lisa Genova had written another book until I was strolling through the aisles at Costco one day and saw it there. Having the experience that I had with her writing, I knew it had to be good. I really don’t want to give too much away, but this book is about two women – Olivia and Beth, who both are going through the most difficult times in their lives. They are experiencing different circumstances, but they are both devastating, though in different ways. Both of these women are on Nantucket, and their lives intersect briefly on a few occasions, and then once in a way that will tie them together forever. 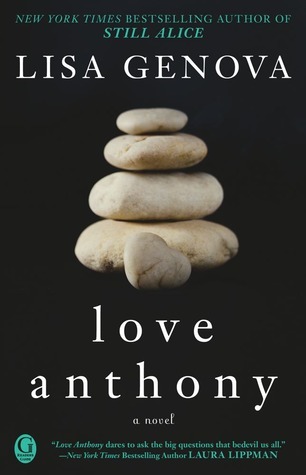 Olivia is a woman who is mourning the loss of her son, Anthony. Anthony was severely Autistic, and as those who have dealt with Autism know, the challenges that come from raising a child with Autism are many, they are constant, and there is never a break from them. I don’t know this first-hand, but I think you have to be a special person to deal with Autism and how it affects everyone involved. Beth is a wife and mother who is delivered devastating news in the most brutal of ways, which leads her to have to re-evaluate her life, her marriage, and her future. The story of these two women is very interesting how they end up connecting on almost a spiritual level through means neither of them would have ever thought possible. 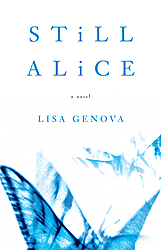 Lisa Genova, as I have written before has her PhD in neuroscience from Harvard. She knows much about the topics she writes fiction about – Alzheimers, Left Neglect, Autism. This gives her great resources and obviously gives her books in depth medical knowledge that truly helps the authenticity of the story. The thing I love about her is that while she doesn’t hesitate to show the harsh realities of these conditions, she is exceptional at portraying the affects that these conditions have on the people, and on the families and support systems of these people. She makes the condition about the person, not just about the details of the medical condition. She does this beautifully. Highly recommend, a great summer read, as are her other books if you haven’t had the chance to read them either. 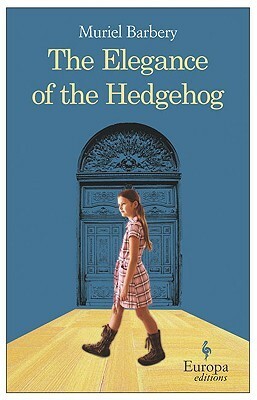 A little while ago, I finished reading The Elegance of the Hedgehog by Muriel Barbery. It was actually a book club selection. A friend of mine had mentioned it as a possibility earlier and it seemed interesting. Let me start off by saying that I like to read. A lot. Last year and the year before, I read over 60 books each year. I started reading this book in November. For the length of it, I should have had it done in a week, tops. I finished it March 2nd. The thing is, I don’t really know why. I will blame part of it on having a small child at Christmas time. You definitely get sidetracked by other things and life gets very busy. That doesn’t account for the first two months of the New Year though. This is a book that you need to be able to sit down and dedicate an afternoon or two to reading. I never seemed to be able to do that. A chapter here, a chapter there is not the way to read this book. When I finally was able to sit and dedicate some time to it – on March 2nd – I finished it all and actually quite enjoyed it. So please don’t be put off by the time it took me to read it. It’s not the book’s fault. This book was actually pretty good. It was originally written in French, so what I read was a translation, and perhaps it was because of that, but the language used was very lovely. It allowed for description without becoming boring. It was actually a very simple story, of three very unlikely characters who impact each others lives greatly. The main character in the book is a woman named Renee. She is the concierge of a prestigious apartment building in Paris. She is quite an interesting person actually. She is plain in appearance, and seemingly kind of dumb I guess. She harbours a secret though: she is secretly in love with books and movies, and is fairly intelligent. Not that she would ever let this on to anyone else. She tries like crazy to just keep up the image of the “simple, grumpy old concierge.” Her character actually has quite a bit of depth. Then there’s Paloma, a 12 year old genius living in this building who is the same as Renee in that she is constantly trying to hide her brilliance from the world. She looks on most of her family and the rest of the world with disdain, and has quite a bleak outlook on life and where it’s headed, especially at the beginning of the book. She sees so much more than anyone gives her credit for. She seems to be looked at as one of the least important members of the family, though it is written from her point of view, so it is possible that situation is biased slightly. Enter Ozu. A Japanese man who bought one of the vacated apartments. He becomes quite the sensation in the building and the object of everyone’s curiosity. He is an intelligent and insightful man who sees beyond the masks that both Renee and Paloma wear. He brings the two unlikely characters together and he himself into the circle in a way that is endearing. I liked this character very much. Overall, a good book. The narrative switches back and forth between Renee and Paloma, which in some books can be irritating, but in this one not so much so. The font is different and bolder during Paloma’s parts, and hers are shorter, more tidbits throughout Renee’s story. I found it easy to read in that respect. Try this one if you’re looking for something to read, though I do recommend that you pick it up when you have larger chunks of time to devote to reading. I liked it. The ending was unexpected, and emotional, I didn’t see it coming. Another thing that I like when I’m reading. I dare you to try it. You can thank me later. 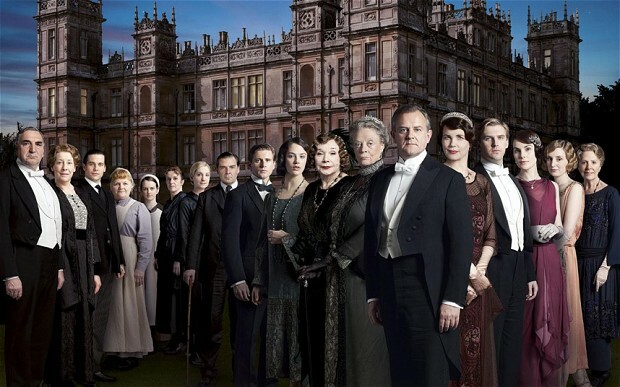 Quite a few months ago, a friend asked me if I had ever heard of a show called Downton Abbey. At the time, I hadn’t. She said it was a great show, and she thought I would really like it. So I looked it up on iTunes and downloaded the first season. I sat down and watched the first episode. I liked it. I had the feeling that if I kept watching it, I might grow to like it a lot. The fact that Maggie Smith was in it alone made it worth watching. But that was it. I didn’t watch any of the other shows at that time. I guess I got busy, I didn’t feel like I had the time to dedicate to a new series, whatever. So I heard recently that the end of the 3rd series (as they’re called across the pond – as opposed to seasons) was coming to an end in Canada and the US, and everyone online was raving about this show. Many of the fansites had info on the show, and I thought to myself – I need to give this another shot. So I re-watched the first episode of Series 1, Episode 1 to jog my memory about the show. Then I watched Episode 2, 3, 4….well, you get the picture. By this time, I was hooked. When I finished the first series, I quickly downloaded the second. After the 2 days it took me to devour it, I downloaded Series 3. You know how it is. You get watching a new show, or a favourite show that you have seen before but suddenly have all of the episodes for. You become consumed. All you can do is watch it. All you can think about when you’re not watching it…is watching it. I did this once during the summer of 2003 or 2004. I was off work on vacation for two weeks, and I had recently acquired all ten seasons of Friends. I watched the entire series in those two weeks. Joe left the house one day in the morning with a ton of errands to run and things to do and people to see. When he left the house, I was laying on the couch, watching Friends. When he returned 8 hours later, the scene had not changed, except for an empty bowl on the floor in front of me with a few popcorn kernels. I was obsessed. One more episode…one more….I’ll just finish this DVD. You get the picture. Anyway, I digress. I got seriously into Downton Abbey. I loved it so much, that I started thinking in a British accent. I started becoming afraid that I was going to answer people in a British accent. Sad, but true. So what is this show about? Without giving too much away, because I totally want you to watch it for yourself, it is basically about the Crawley Family, and their servants. Robert Crawley, the Earl of Grantham, Cora Crawley, the Countess of Grantham, and their three daughters, Ladies Mary, Edith and Sybil. They live in a manor in the English countryside called Downton Abbey. A huge house such as this obviously takes several live-in servants to run. When you change your clothes every ten minutes, and formally dine at every meal, you can imagine that the house is constantly bustling with activity. This story is as much about the lives of the employees of Downton as it is about the family that lives there. Their lives are separate, yet they are intertwined. The ups and downs, the love stories and broken hearts, the joy and the sadness, the downright devious deception – you will eat it all up and beg for more. It is dramatic, it is beautiful to watch, and it is humorous as well as heartbreaking. I can’t believe that we’ll have to wait basically until next year (or perhaps late this year if we can get our hands on the UK release) until we can see Series 4, which they are making right now. Download this – or buy the DVD. The video below is a preview of the first series. It gives you a taste without giving away too much. Just finished this amazing book. Moved me to tears. This book is to ALS what Still Alice is to Alzheimer’s. Well worth the read. Catching up with this one. Spoiler alert: she didn’t win anything. Happy Birthday Mom! 70 years young! I’m very blessed with a lot goodness in my life. This remarkable woman has been an example, a joy, and a true force of love and goodness in my life for the whole thing. If I can one day be a fraction of the mother that you are, I will be so grateful. Thank you for everything that you do, for the love that you show to our family as a Mom and a Grandma every single day! Love you Mom!